The father of modern subjective idealism, too presumptuous and too reflective, reduced all awareness to the relation between a knowing subject and a known object and further to certain judgments, a form of psychological immanence. The resultant problem of appearances and an inability to account for the givenness of the self that accompanies all awareness of objects in Descartes’ thought replayed itself with a different cast in Kant’s critical philosophy. With one hand, Kant offered a notion of awareness broadened beyond judgment to perception and a distinction between the transcendent and the transcendental. With the other hand, Kant took these advances back, for he left this mode of perception at the level of act-intentionality, reduced all intuition to an empirical, atomistic instant, and explained the perception of (transcendent) temporal objects and the (transcendental) self’s special mode of inner intuition as a mode of spatialized inner perception conflated with different acts of awareness. 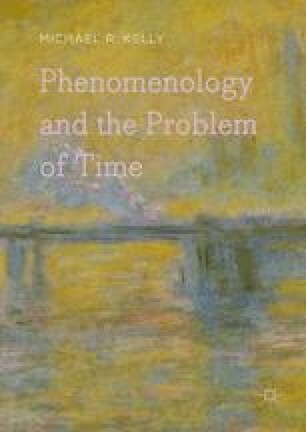 Heidegger thought such shortcomings of modern subjective idealism haunted Husserl’s theory of genuine phenomenological immanence, which shared modern subjective idealism’s aspiration of philosophy as the foundation of all sciences.